Practices have started and the new fields are almost finished — this weekend will officially kick off little league season in Granville. Little League Weekend this May 4 and 5 will be filled with all the usual activities, from a fundraising coin drop to a vibrant parade. The kids will show off their uniforms for the first time on Saturday at 9 a.m., when they will hold a coin drop on Main Street and elsewhere throughout the village and town of Granville. They will also go door to door collecting money. The next day, in an event that typically garners a large crowd, the little leaguers will don their uniforms and parade down from the North Street Park to the Little League Field. “It’s a huge event; all the children in little league are there. The streets are packed, and there are seas of color,” said Denise Davies, a member of the little league board. 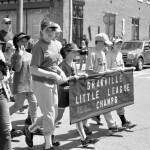 She said last year’s winning little league team leads the procession, followed by the rest of the boys teams. Behind them is last year’s winning softball team, and the other girls players. The high school band, led by Crystal Everdyke, also takes part in the event. Davies said kids, parents and grandparents all come out to enjoy the parade, which kicks off at 1 p.m.
“It’s a third generation of little leaguers marching down the street,” she said. The procession leads to the main field, where everyone listens attentively to a brief ceremony. Then the first ball is thrown out, and each team has a chance to play one or two innings. As far as playing grounds, Little League President Kathy Juckett said workers are in the process of breaking ground on three of four new fields. “Now that we don’t have to worry about cleaning up after Irene, we can focus on moving forward,” she said. And Mark Teller, a member of the Little League Board and former coach, agreed. “The fields are in decent shape. Winter wasn’t too bad for the fields this year,” he said. He estimated about 300 children are participating in little league this year, which is down a bit from other years but not too much. So far, he’s heard that things are running smoothly. “We’re looking forward to a good season and hoping the weather will be good,” he said. 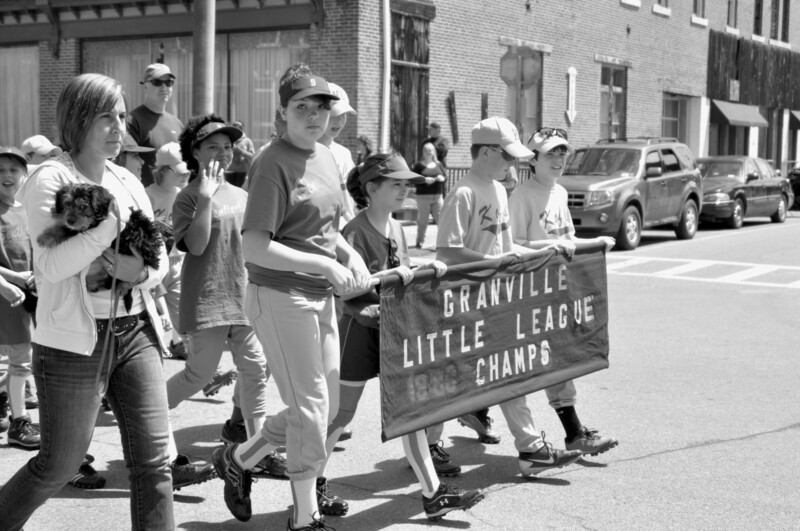 Little leaguers should come dressed in uniform to both the coin drop and the parade, and should gather on Sunday at 12:30 p.m. in the North Street Park.